Children will love guessing who as they unfold each page to reveal who lives and works where. Beautiful illustrations provide a clue, and the answers are hidden underneath the flaps! 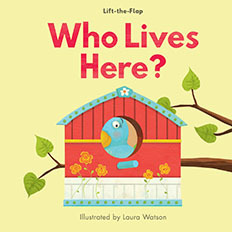 Children will love guessing who’s under the flap as they unfold each page to reveal who lives where. Beautiful illustrations provide a clue, and the answers are hidden underneath the flaps! 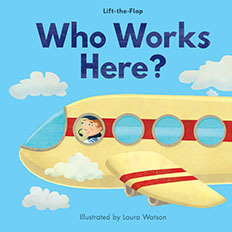 Children will love guessing who’s under the flap as they unfold each page to reveal who works where. Beautiful illustrations provide a clue, and the answers are hidden underneath the flaps!